Home » national news » Delhi shelter razed: Living on streets haunts the homeless again! Thinking of sleeping on the streets with her three children again haunts Ruby, as it was only few years ago when she and her children found a roof over their heads. And now that she is back to the terrible homeless situation after the shelter was razed down in a drive, all that Ruby could do is cry and urge the authorities to give her back her 'home'. "I have three children and they used to study and stay here. I have been living here for many years. Now where will I go, I have no one with me. They have not been given any notice and broke our homes. We have become homeless again. No one is doing anything," Ruby told ANI. "My two kids used to study here. They didn't even give us time to prepare ourselves. I don't know where to go. Everything of ours is gone. I am a single mother and now I am homeless," said another woman Tara. The caretaker of the shelter, said that they were barely given time to evacuate and find another shelter, as they building was razed immediately after the notice. "At around 2: 30 pm they informed us that the center will be demolished. We didn't even get time to take out our belongings from the house. They didn't give us any chance to prepare. When I said that how will I manage with the kids, they said it is not their responsibility," he added. Meanwhile, demanding justice and quick action on the demolition of the homeless shelter by the Delhi Development Authority (DDA) and Delhi Police in Nizamuddin, Delhi Commission for Women (DCW) chief Swati Maliwal slammed the DDA asserting that they should be responsible in giving a new rehabilitation centre within 24 hours. 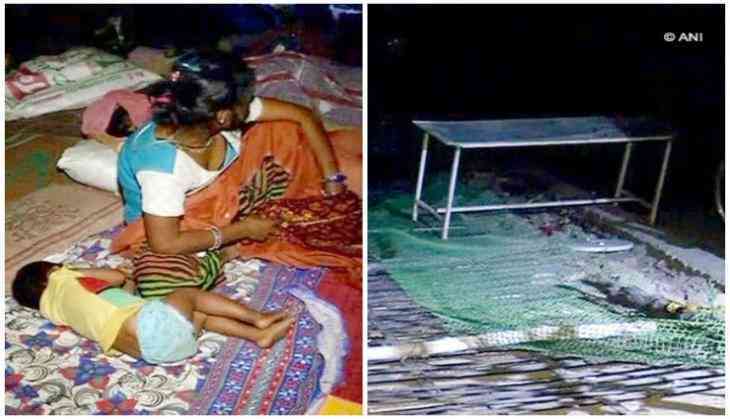 Earlier on 19 may, Chief Minister Arvind Kejriwal also expressed his concern over the disturbing development and assured that the children are being shifted to another home. On 18 may, a children home shelter ' SPYM-Wishes and Blessing Home', where over 50-60 small children used to live was demolished allegedly. "SPYM-All wishes and Blessing home is my home. 50-60 children used to live in this home and we adopted this place in 2014 from the Delhi Government's Raen Basera policy and transformed it into SPYM-Wishes and Blessings Home. There are 60 children and 15 females here, who were all abandoned at one time. Out of these 60 children, 45 go to schools. On 19 may, DDA people arrived and demolished our home," the SPYM owner told ANI. The homeless children are now demanding justice.